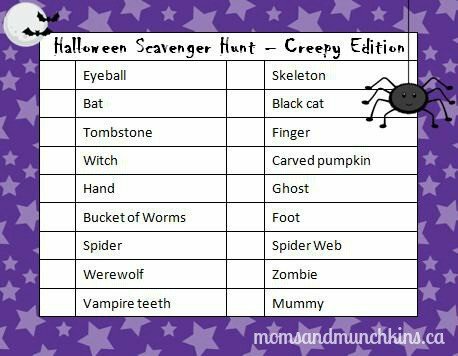 This free printable Halloween Scavenger Hunt Creepy Edition is full of fun creepy discoveries! Around Halloween you’ll start to see all the creepy & crawly Halloween candy & decorations out on store shelves. This is a great time to plan a Halloween scavenger hunt (the creepy edition) in your home for a family fun night or a Halloween party. Your local dollar store would be an excellent place to shop for some creepy supplies. If you can’t find the scavenger hunt items in the store, try a little Google Image searching and print some images to find. For printable images, you could also use a little glow in the dark ink to leave special messages on the paper. 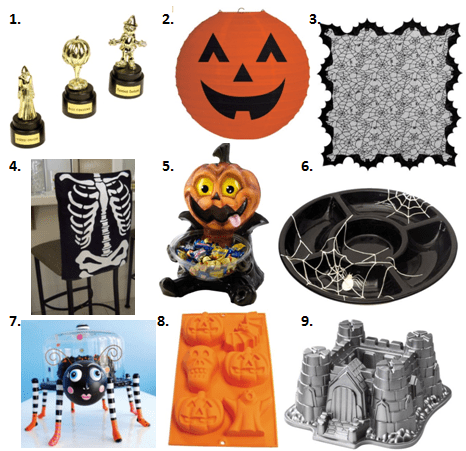 Click here for the free printable Halloween Scavenger Hunt Creepy Edition. You can finish this Halloween scavenger hunt by enjoying some fun & creepy Halloween cupcakes. Here are some fun ideas from Betty Crocker. For more fun ideas for the holidays including party ideas, free printable games, activity ideas and more – visit our special Holiday Fun page and scroll down to the Halloween section. Don’t miss any spooky updates! Follow along on Facebook, Twitter, Pinterest and Bloglovin’. *Digital paper and character designs by Pixel Paper Prints. I need to pin this. What a great Halloween activity for the kids. This looks like such a fun idea! I was thinking about having a Halloween party for the kids this year, this would be a great thing to do at it. Thanks for sharing this! Such a great idea!! I can’t believe Halloween is almost here! This sounds like so much fun@! I am gonna have to try this, my son would love it. I love this idea! Scavenger hunts are the best. Thanks for sharing!